Chinese satellites have discovered a new object in the waters of the southern Indian Ocean that may be wreckage from Malaysia Airlines flight MH370, which went missing with 239 people on board. The Chinese finding was first announced by Malaysia’s defense minister and acting transport minister, Hishammuddin Hussein, who was handed a note with details during his press conference in the country’s capital, Kuala Lumpur. The discovered object is around 22 meters long and 13 meters wide, the Chinese State Administration of Science, Technology and Industry for National Defense (SASTIND) said on its website. It was spotted on March 18 in a remote area off the western Australian coast by China’s high-definition earth observation satellite, Gaofen-1, SASTIND. According to the Chinese side, the new finding has been spotted about 120 kilometers from the location where possible wreckage was sighted by another satellite on March 16, and south by west of the possible debris, which was announced by Australia on Thursday. 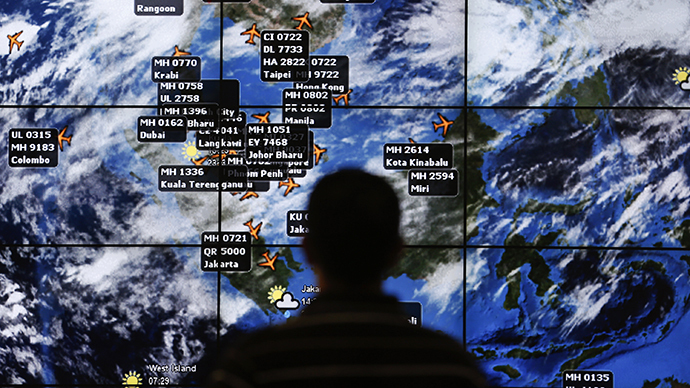 Malaysia Airlines flight MH370, carrying 239, people left Kuala Lumpur on March 8 destined for Beijing, but mysteriously disappeared from radar screens around an hour after takeoff. For the last two weeks, over 20 countries have been making efforts to establish what happened to the Boeing 777 plane, but their efforts have so far proved fruitless. 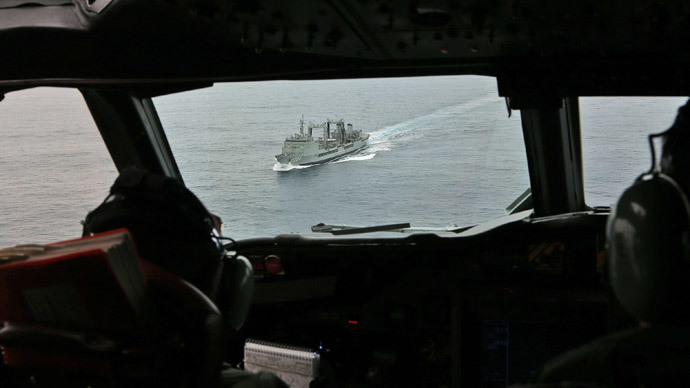 Six planes and two ships are currently taking part in the operation, with two Chinese aircrafts arriving in Perth on Saturday and two more planes from Japan expected on Sunday. “This search is an intensive operation,” Warren Truss, Australian deputy prime minister, is cited as saying by the Guardian newspaper. 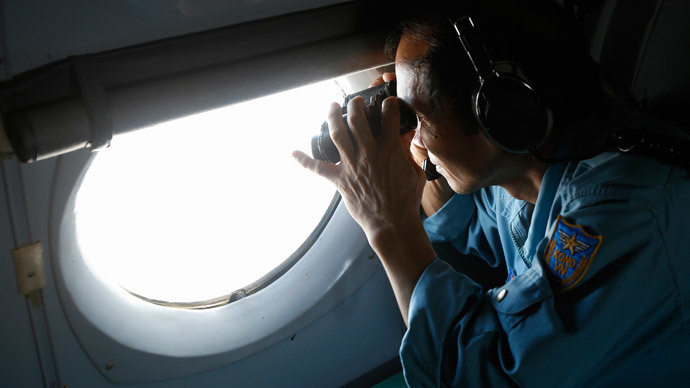 “While these aircraft are equipped with very advanced technology, much of this search is actually visual." The search will go on as long as necessary because “it is important from the perspective of those who have families... and indeed for the future of the aviation,” Warren promised. 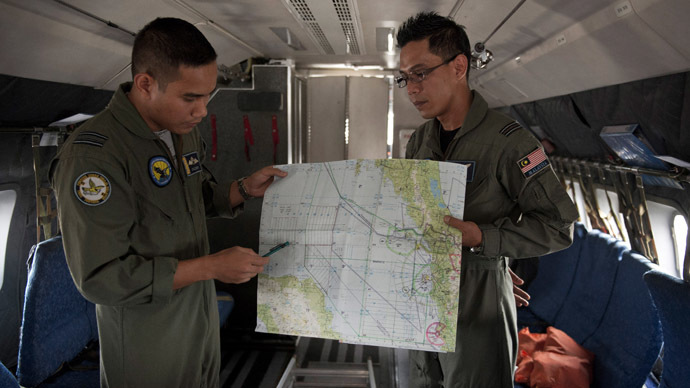 Several people familiar with the matter told Reuters that India has informed Malaysian investigators that it hadn’t any evidence of the missing plane flying through its airspace, which makes the satellite debris lead more solid. Meanwhile, the hunt has also resumed in the Andaman Sea between India and Thailand (areas already exhaustively swept), to be re checked for possible leads. 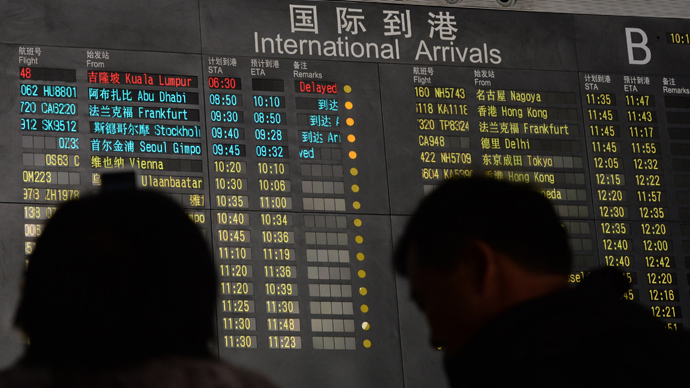 The plane ordeal has reportedly sparked tensions between China and Malaysia, with Beijing slamming Kuala Lumpur for not treating the relatives of the flight MH370 passengers well enough, and demanding a step-up in the search. 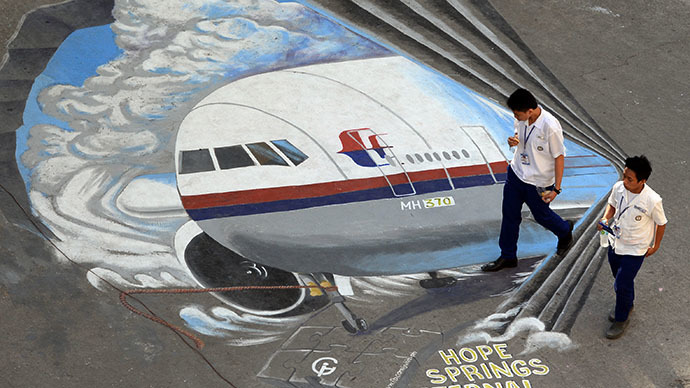 The Beijing families of those on board the plane issued a statement on Saturday, accusing the Malaysian delegation of “concealing the truth” and “making fools” of the relatives, after they failed to get all the answers during a meeting. "This kind of conduct neglects the lives of all the passengers, shows contempt for all their families, and even more, tramples on the dignity of Chinese people and the Chinese government," the statement is cited by Reuters. 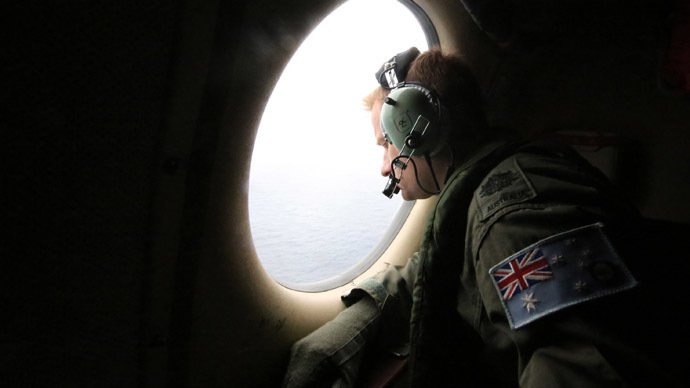 Investigators suspect flight MH370 was deliberately diverted thousands of miles from its scheduled path, and are focusing on hijacking or sabotage, adding that technical problems aren’t also ruled out as well.